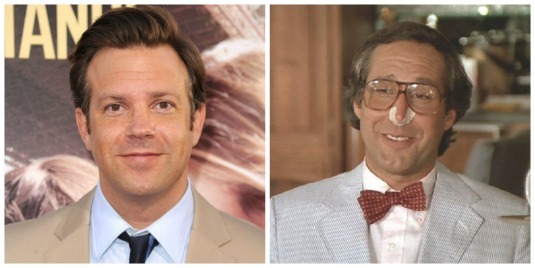 The next reboot making waves is for ‘Fletch‘, with Jason Sudeikis set to star as the journalist. The Gregory McDonald novels provided a basis for the original 1985 film that showcased Chevy Chase as ‘Fletch‘ . Relativity and Boies/Schiller Film Group have secured the movie rights and are currently meeting with writers that will reboot the series from the beginning of the Fletch stories in a prequel, ‘Fletch Won‘. There have been several studios that were looking at re-starting the franchise, including Kevin Smith through his View Askew banner, but the project never came to be and eventually, Relativity Media won out. We don’t have a projected release date or any other casting new, but we will update you on the progress as it becomes available. This entry was posted on Wednesday, April 15th, 2015 at 5:41 pm	and is filed under Books, Film, News. You can follow any responses to this entry through the RSS 2.0 feed. You can skip to the end and leave a response. Pinging is currently not allowed. « NBC ‘s ‘Emerald City’ Receives 10-Episode Order!!! !